Older Single Mum: Liz Jones and Mumsnet Blogfest. 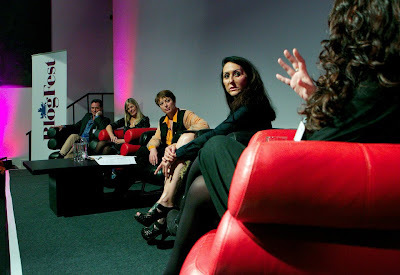 Liz Jones and Mumsnet Blogfest. 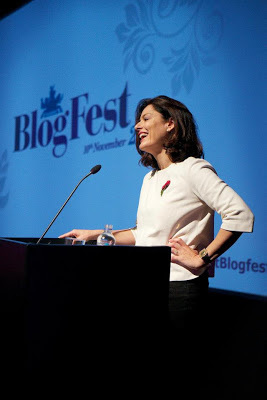 Liz Jones - Picture courtesy Mumsnet Blogfest FB. On Saturday I went to the Mumsnet Blogfest, wasn't going to say much about it and then something happened that gave me the urge - you know, one of those times when it just takes over and, if you listen to yourself, you have to. The sad old bint above, the Daily Mail's Liz Jones, graced us, sort of, with her presence on a Keynote panel - 'Private Lives on a Public Stage' - in the afternoon, then wrote a spiteful article about it in their Sunday paper. The woman is full of tripe, orange in the flesh, vacant, hostile, disdainful and hypocritical. I can guarantee she'd mostly written the article before the event even occurred because it's full of mis- conceptions and blatant lies. 'I expected bile as I weaved my way between the prams.' A) You expect bile because that's what you dish, darling and B) there was probably one pram per hundred attendees, if that. She claims to have spoken to The Bottom of the Ironing Basket, Cambridge Mummy and Mush brained ramblings. They print quite a different story - on their blogs and on Twitter. She doesn't even get their names or their set-ups right. We all felt quite sorry for her. That was the general consensus, be assured, despite her opener about it being 'wrong' to write publicly about your children - to a conference full of Parent Bloggers! There was rather a stunned silence, stifled giggles and guffaw making tweets galore about the gaff. We truly didn't mind though. The rest of the day more than made up for the misery she shared about having spilled her guts and her friends and family being increasingly wary of anything they say in fear of being fodder for her - well, any of those she has left. She confessed to wanting to be able to turn back the clock and not write the stuff she has, alienating practically everyone she knows, including her neighbours. Even a crisis around her Dad's death had to be kept from her. Miriam Gonzales Durantez - picture courtesy Mumsnet Blogest FB. When a woman like Miriam Gonzales Durantez opens the day, moved practically to tears by the support the people of Mumsnet showed her, when her husband became leader of the Liberal party, because she had to fight to keep her own identity and protect those of her children, against all expectations of the press, the full power of other women pulling together can be seen, felt, heard. He is now, of course, Deputy Prime Minister and she remains a lawyer with a team of 25 under her, as well as a (formidable I would imagine!) wife and mother of three sons. Liz Jones, on the other hand, speaks of 'queasy feelings' in her 'empty womb.' There was nothing queasy making in that Mumsnet day. There was Caitlin Moran, who followed her and lifted the room again - with her hilarious anecdotes, writing tips ('Always ask yourself why you're writing what you are,' 'look for joy,' 'avoid snarking,' 'let things flow') and full-on frankness. Caitlin Moran. 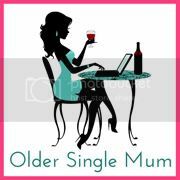 Picture courtesy Mumsnet Blogfest FB. There were some other top-notch journalists and Bloggers, an MP, technical expertise abounding for every level and not too many sponsors. The day was well paced, professional, full of useful information, friendly and fun. A bit like blogging (and even most bloggers) really. So when Liz Jones felt she was 'in a tangled tepee of virtual knitters instead of with women who want to change the world,' she obviously hadn't bothered to attend a session actually called 'Blogging Can Change the World' or she might have been able to write a better piece, a more accurate one, an honest one. And she accuses us of having 'narrow vision!' Shame on her. Thank you to all at mumsnet for organizing such a great event. I read the article yesterday and took it with a huge mine of salt. Liz, I believe, has simply taken her writing to another level. She has worked out that writing a certain way, in a controversial, rude style designed to infuriate and cause the backs of the majority to rise like camel humps, is actually more beneficial for her than the normal, run-of-the-mill journo. After all, who isn't familiar with the writing of Liz Jones now? She, like Samantha Brick, has found a way of getting a reaction repeatedly and as long as it continues to work she is getting the readers in which then equals the bottom line of money. It works on the old saying 'There's no such thing as bad publicity'. 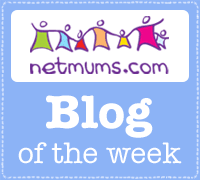 I am not a Mumsnetter or any other forum frequenter, I have to admit. I don't go to any kind of blog meet-ups or fests, purely because my introvert is a great deal stronger than any extrovert who may be imprisoned within me. I do know though, how things can be twisted beyond recognition within the media and so I thank you for setting the record straight. Between you and Liz, I know whose version of events I believe! I have just learned that she is deaf - I had no idea, but that doesn't justify her appalling attitude or lack of integrity! Great post, and you make a good point - I wonder if that article was half written before she attended the event. I've also begun to think that mumsnet kind of knew what they were doing when they invited Liz, and why the questioning to Liz was stronger than the rest of the panel - they probably knew she was going to write an inflammatory article and gain them publicity? And it's a shame really that Liz has backed herself into a corner in writing dross to sell newspapers. And as we all saw, she is clearly not a well woman. X. Thank you. That's a good point too. And you're qualified to judge! Having read her article I no longer feel sorry for her. I feel nothing for her. What a vacuous woman. She deserves no more than that! My pleasure. Great to spend time with you too. Thank you. I agree with you too. I thought you were great standing up to her views and have read your piece - perfect to read it from your perspective and I didn't realise she is deaf until doing so. Have left comment there. Nice to meet you and have you here. Hi. Superb post lovely and great spending time with you. My overwhelming feeling, as I mentioned in my blogpost, was disappointment. My natural instinct is to support other women, I feel it's a natural female instinct....and I wanted, having read her for so many years, to like her &, I suppose, for her to redeem herself in some ways on Saturday. I felt she was very honest ie, when she said she just has no relationships in her life....and actually just a very sad figure. My feeling now is that Mumsnet knew exactly what they were doing when they paid her to appear on the panel, Justine Roberts is a smart cookie. Massive publicity for them. And lots of traffic for Liz Jones & the DM, she does her job to the bitter end. Samantha Brick writes things that are so ridiculous that you can scarcely believe it's possible to think them....I guess Liz Jones is the same. She knows her job inside out. I wanted to like her too. A close friend is a big fan. 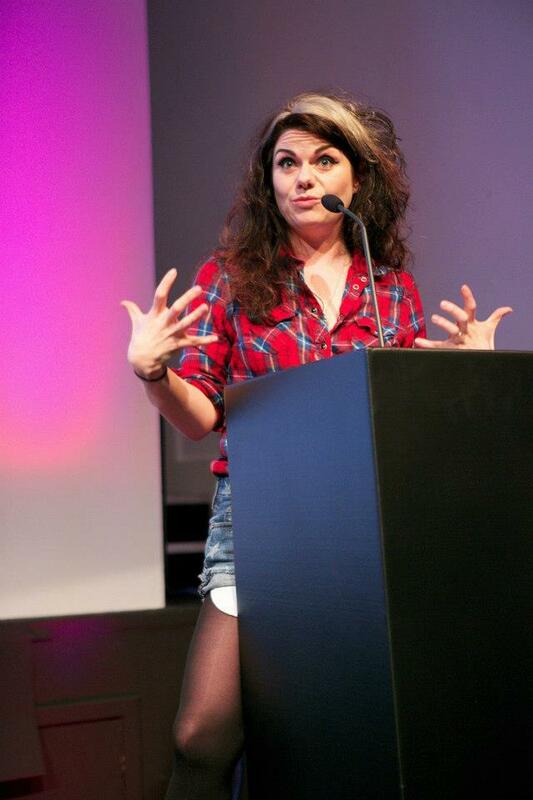 But.. but..
She filled the room with sadness (Thank God for Caitlin Moran afterwards!) and I thought it was a coup for Mumsnet tbh. Hey Ho! You've got to pity her really. Spewing so much bile for a living must be mentally corrosive. You're right. It must be dreadful for her health and you only have to look at her face compared to the other women's photos to see who is happier! Great post Anya. Nothing you've written surprises me, this person's name pops up again and again in similar fashion. The thing about spouting bile on such a regular basis being corrosive is spot on. If it was a stunt, it's a shame. When she's sold all her newspapers, what will she have left. :-( Glad the other speakers made up for it! Miriam Gonzales must have been fabulous. Thank you. She has nothing, you're right and it showed. She regrets everything! Miriam Gonzales is fussy who she speaks for - so we were privileged to have her and she was fantastic. I'm gonna meet you one day at one of these things! Lovely round up.Thanks Anya! And Liz Jones should be advised to lay off the spray tan! Thank you - you're right too! Good round-up of a great day. As much as I don't want to increase her air space, Liz Jones really takes the cake. And as mentioned above I wonder if it was half-design that threw her savage attitudes among us lovely (and varied!) ladies. Poor lass. Needs a good hug and an ear device. And a big piece of humble pie. It's a shame that in branding/exploiting her version of womanhood (and we are all entitled to this) that she has become so sadly and vengefully MissOgynist. It's even impossible to dislike her, she is so terribly alone out there. Sounds a great event. Liz Jones needs to emigrate to somewhere isolated and start a new life as a nice decent person. She's blown it in the UK. Stupid cow. Sarah, it was a great event, the best bit is always meeting up and having a laugh with other bloggers. I had the pleasure of the company of a lady I met through your blog - Clare from The Curry Queen, so thank you for that! We got on really well - she's just as fab in the flesh - not like that stupid cow above. LOL! You're absolutely right - emigration is the way! It's a times like these that I wish I lived nearer. Ah well. And I wished you lived nearer too. Great post. Other than the horrible woman it actually sounds like a brilliant day. I've never been too keen on Mumsnet but (besides the "glitch") thats quite an impressive panel to have. With all the furore on the Sunday I completely missed the piece in the Guardian which was written much more positively! It was a great day. Apparently there was a good piece in the Times beforehand (a sponsor, no less) and since in the Observer. I will check out each of them and report back! Rah! Ruddy brilliant post, you say all the things that need to be said about this woman so well. I think we all know, out of Caitlin Moran, Miriam Gonzales Durantez and Liz Jones, who we would rather takes notes from on how to lead a successful and more importantly, happy life. Thank you Luci. Happy the lady is not! That is all really well put Anya. I have one big regret though. I didn't actually stop and talk to you for long. We need a glass of wine together! Thank you. That would be lovely now I know you're nearer my age!